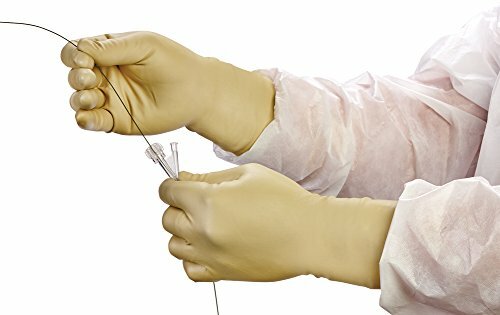 RadiaXon Latex Gloves offer the highest attenuation levels available, providing skin dose reduction of 59% at 60kVp. Lead-free and non-toxic for environmentally friendly disposal. For the surgeon who prefers the fit and feel of latex, the finger tips are a minimum of 0.3 mm thick, to provide excellent tactile sensitivity. Textured surface on the palm and fingers provides excellent instrument grip. Anatomical, curved fingers reduce fatigue. Beaded cuff ensures easy donning and helps prevent roll-down. Available by the single box (5 pairs). Individually packed. Sterile. Three-year shelf life.